Kincardine Veterinary Services began in 1975 as a small, mixed animal practice in a farm community. 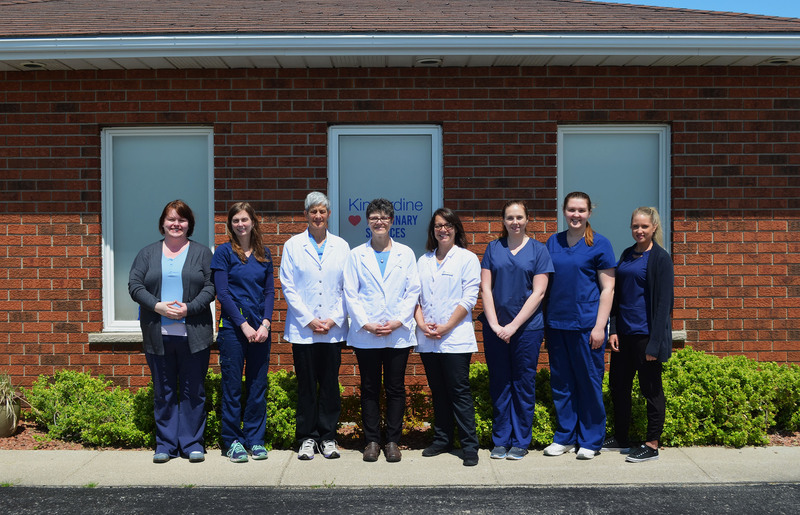 As Kincardine grew into the vibrant community that it is, serving amongst other things the Bruce Nuclear Power Development, so too has Kincardine Veterinary Services grown and changed. It has been 14 years since the last large animal patient was treated by us. We are now completely focused on our small animal patients and their owners. But the focus of the practice on exacting standards of patient care and constant innovation are unchanged. Caring has always been first, the guideline in directing practice development. As a result, Kincardine Veterinary Services has been leading the pack for 4 decades now, being the first practice in the area to computerize patient records, to provide ultrasound imaging, to provide dental radiography, to provide chiropractic and trigger point therapies. And our pain management has always been exemplary, as well as our low-stress handling and “fear free” approach to patient care. We have been rooted in our community for over 4 decades and hope to continue serving our patients, our clients, and our community for many, many more! Come and check us out. We’d love to meet you and your furry friends.